So I haven’t managed to convince you that making your own ginger shot is easy? 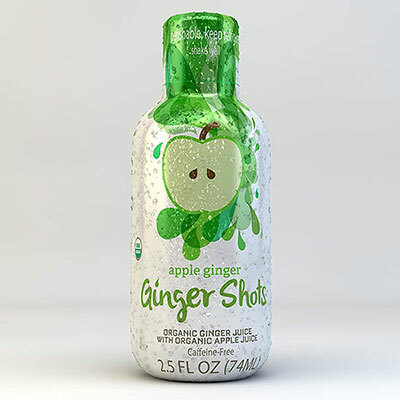 You can still buy some really nice ginger shots from a lot of different places. Probably the easiest way to get them in bulk because you can buy a whole load of them and get them delivered in no time at all from Amazon. They’re not badly priced either at around 4$-5$ if you buy a 12 pack like this one. If you plan on having a daily shot then it’s definitely worth just getting your own ginger juicer because the cost will add up quickly. Now this massively depends on what stores are near you and where you are. If you’re anywhere near a Wholefoods then there is a really good chance you’ll be able to find one but if you just have a Trader Joe’s then there’s more chance involved. Best way to find out? At least once you’ve looked you won’t have to look again. This is definitely not the cheapest but short of making it at home it’s definitely going to give you the biggest health boost. Because juice bars do it right and you know you’re going to be getting fresh ingredients and thoughtfully made recipes.